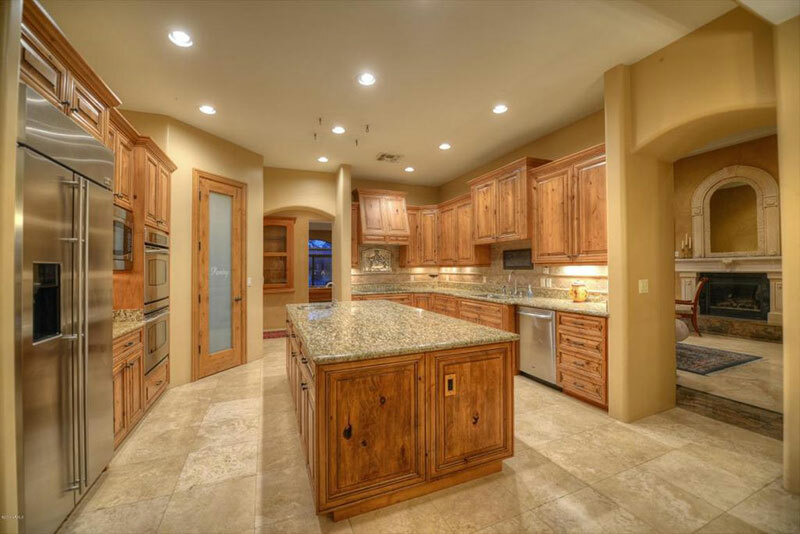 If you’re looking to redesign your kitchen, there are an overwhelming amount of choices when it comes to granite countertops. 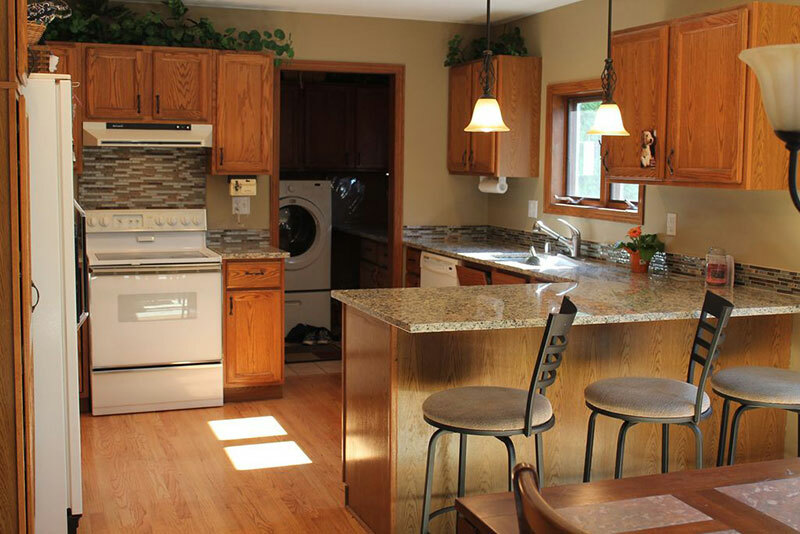 One of our most versatile favorites is New Venetian Gold granite. 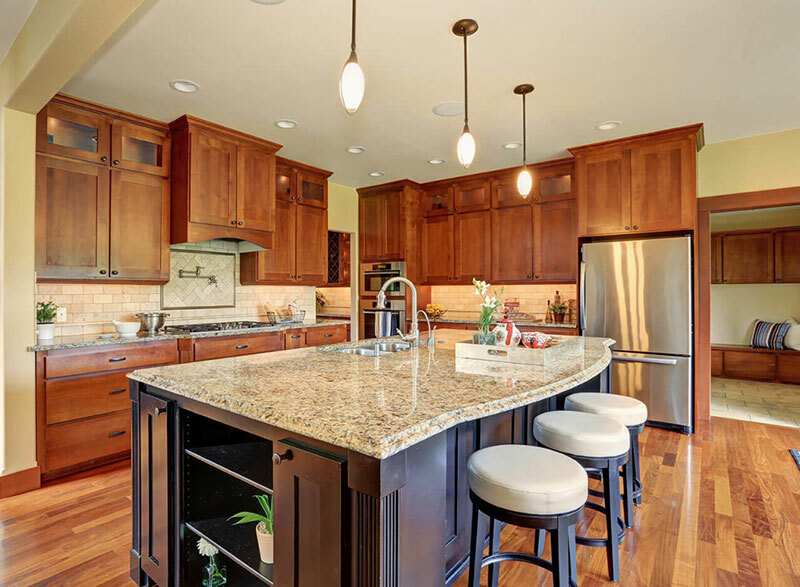 What is New Venetian Gold Granite? Despite its name, it actually has nothing to do with Italy. 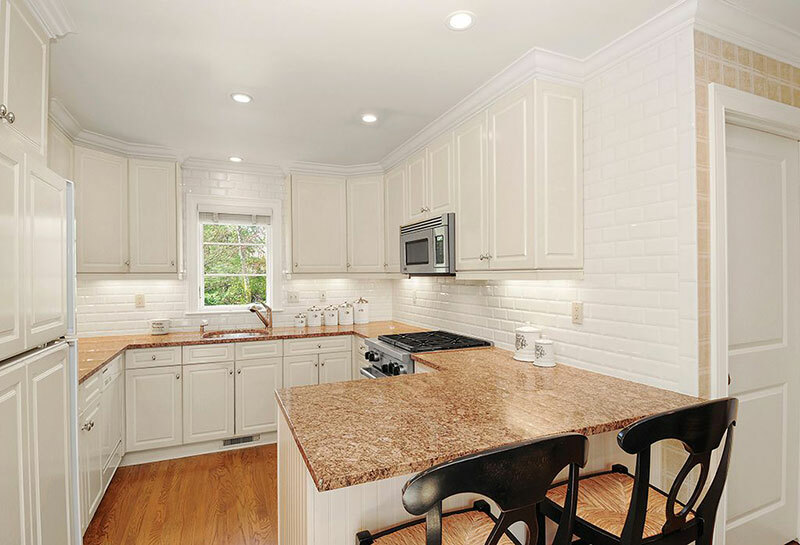 New Venetian Gold granite is quarried from Brazil and is composed of granite and other mineral deposits, giving it a relatively even color tone with some degree of variability in texture and pattern. 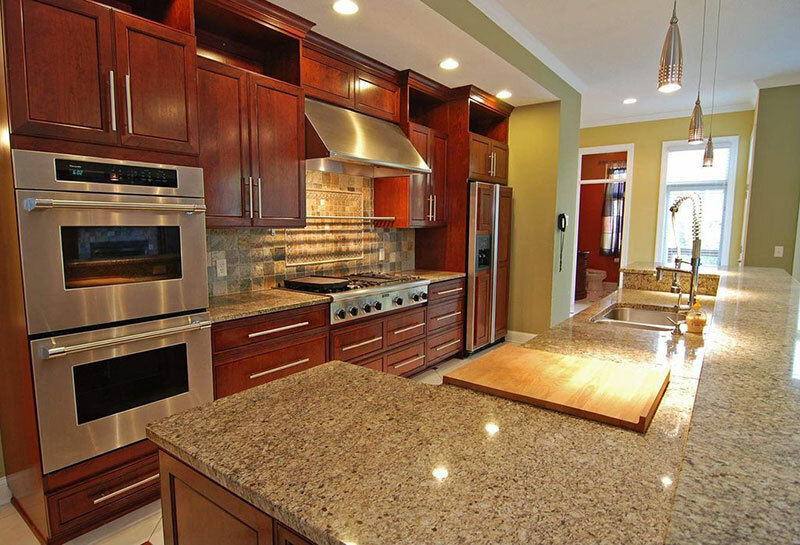 New Venetian Gold granite is also known as Brazilian Gold, San Tropez, or Ouro Brasil. 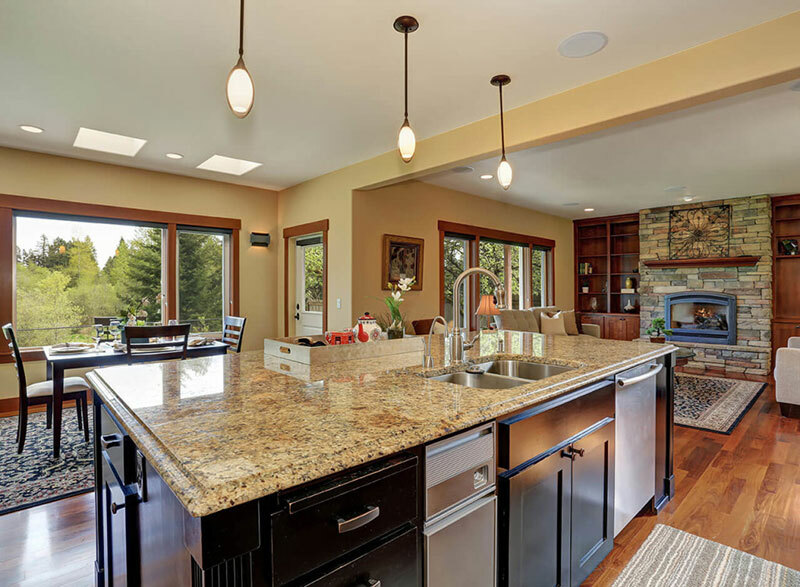 This granite is beloved by designers and homeowners due to its color versatility and scratch- and heat-resistant qualities. It does need to be sealed, but will then have a long and durable life. 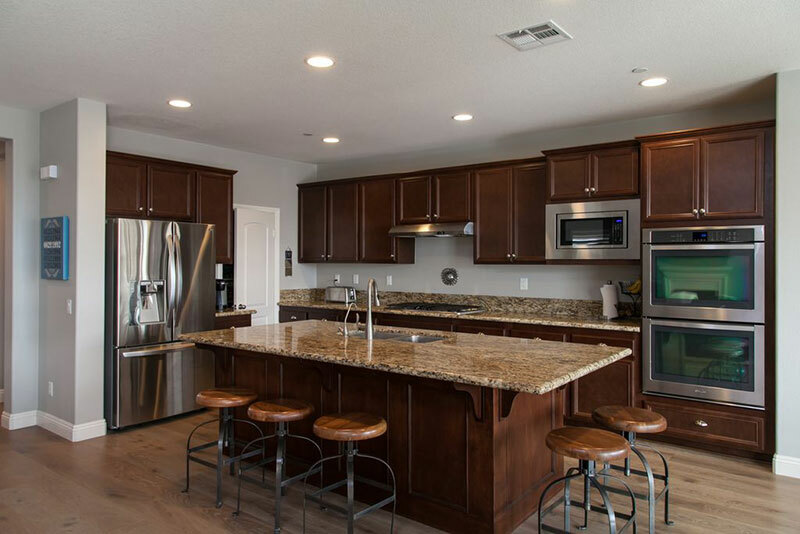 The granite adapts easily to different kitchen styles and aesthetics and can really change the personality of your kitchen. 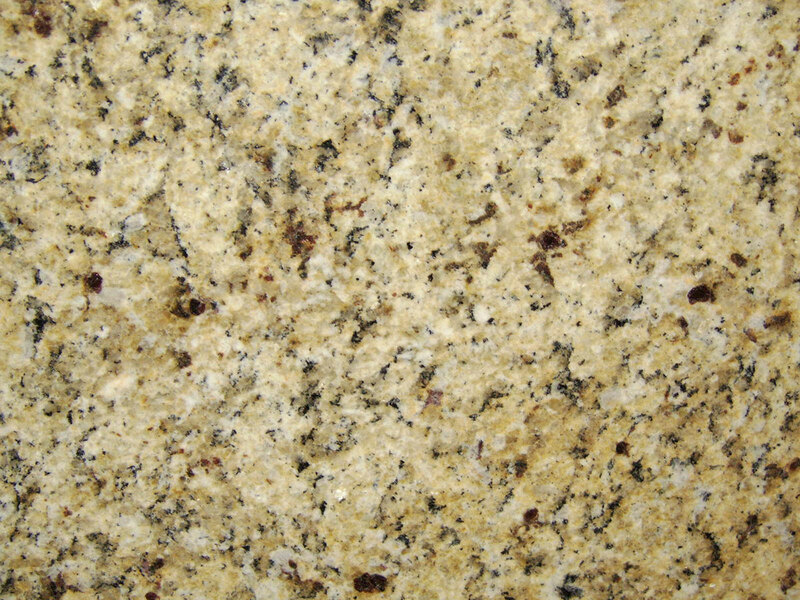 What Color is New Venetian Gold Granite? Using natural materials means that there is some variability in the color and design. The base rock ranges in color from cream to gold, giving an overall warm color scheme. From a distance, the colors look sleek and even, but when you examine it up close, you’ll notice the real treasures that make New Venetian Gold pop. 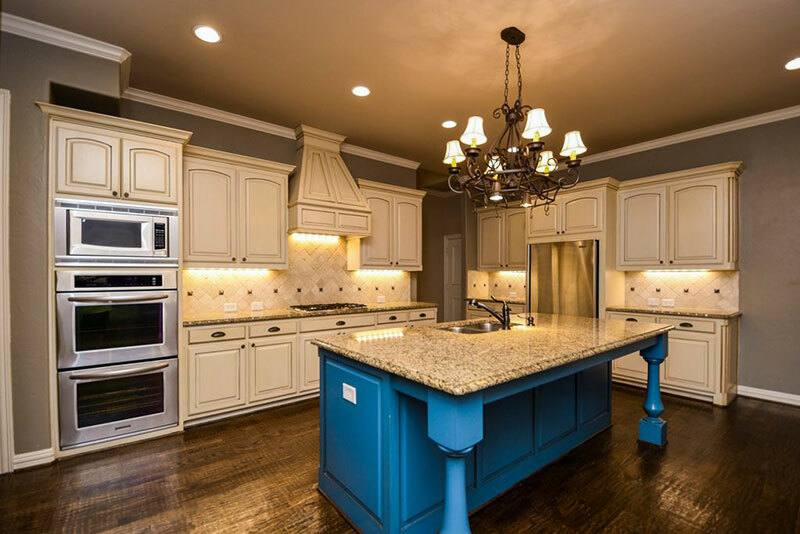 You can expect the baseline color to cover approximately 60-80% of the countertop. 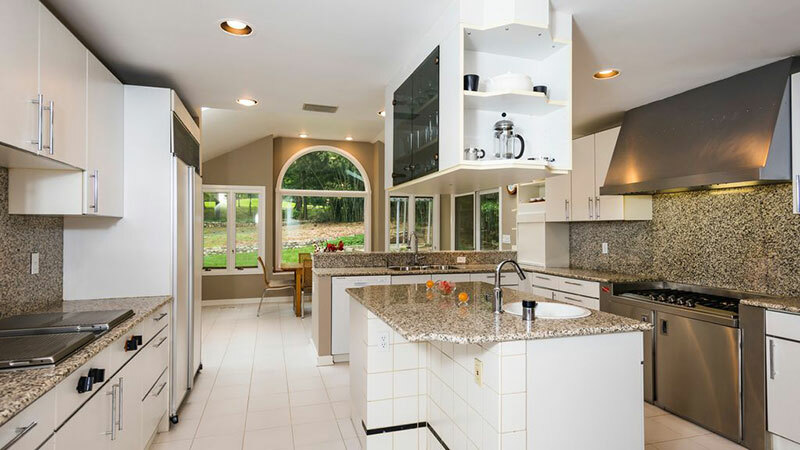 The next color you’ll see will be small nuggets of white quartz that both blends in with the background color and gives the granite some sparkle. You might see white quartz make up 5-15% of the body. Black and gray minerals are also prevalent in this granite. You’re likely to see black veins or even “islands” of color that add definition to the motley surface. Our favorite aspect to the colors of new Venetian Gold granite is the occasional burst of red minerals scattered throughout the stone. These minerals are often a burgundy or garnet tone, but you may see some slabs with lighter colors. The red is the least common mineral in the stone, but it really adds a pop of color in a sea of neutral tones. 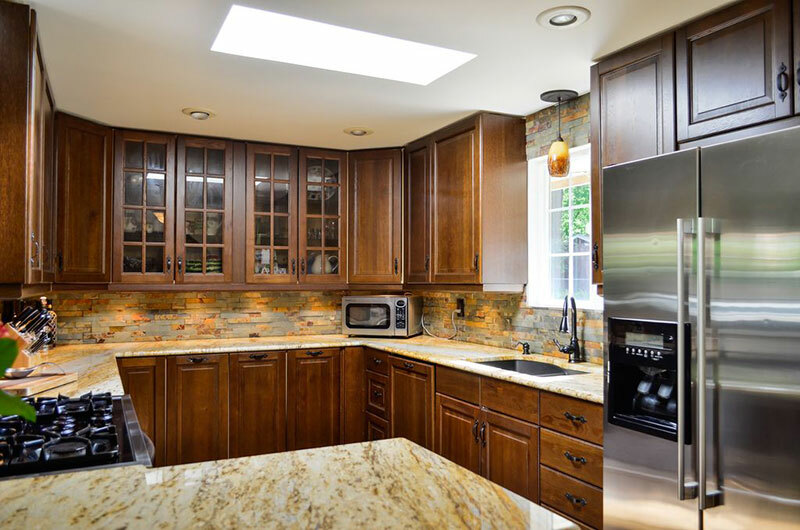 What Cabinet Colors Goes Well with New Venetian Gold Granite? 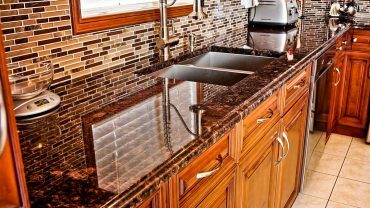 One of the many great things about New Venetian Gold granite is its versatility. 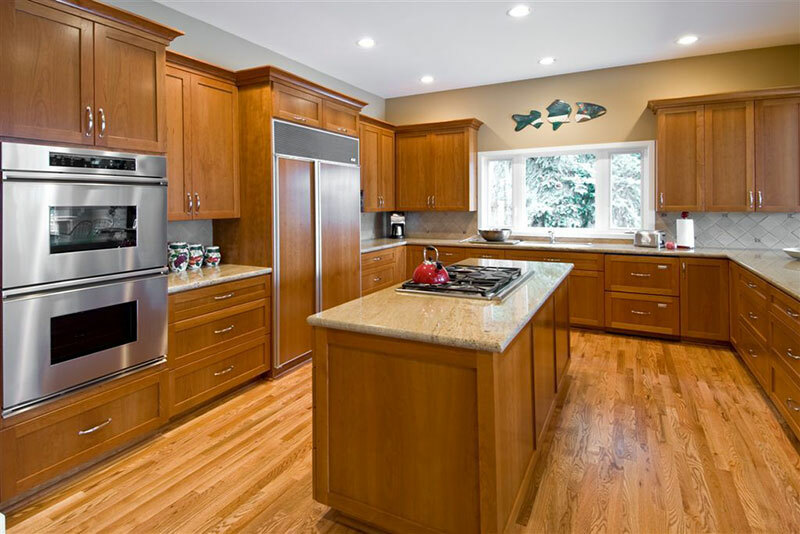 With its creamy gold hue, you can have your choice of coordinating cabinet colors, such as maples, creams, browns, and even chocolates and reddish hues. The granite is flecked with whites, blacks, and garnets, which give you accent colors to play off of. 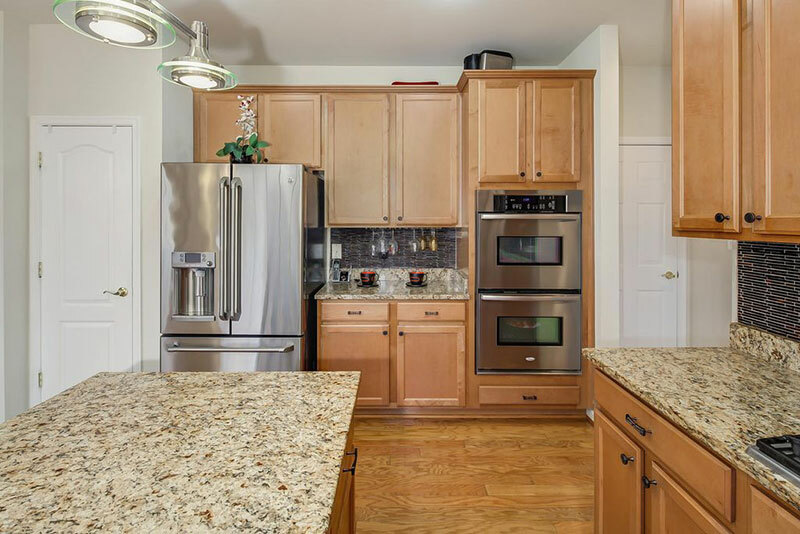 Make sure you know what your slab looks like before you make your cabinet choices; this granite has a base color that can range in tone from a light cream to a more standout gold shade. 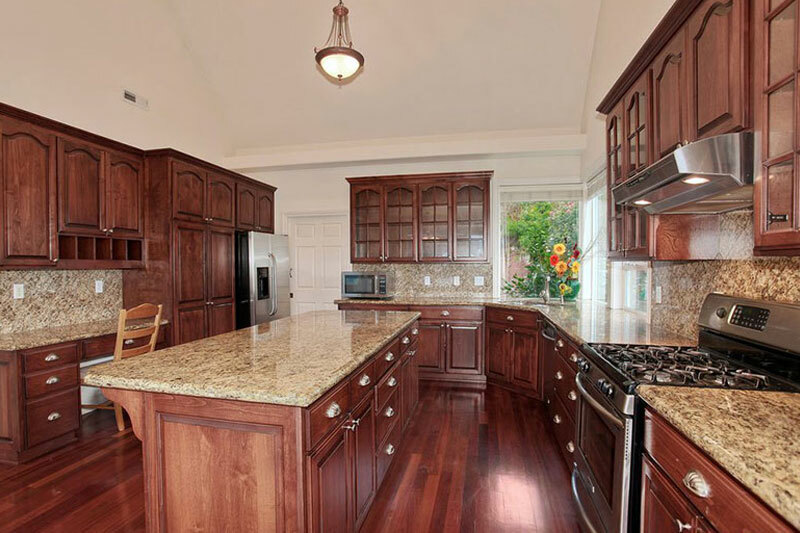 How Much Does a New Venetian Gold Granite Countertops Cost? 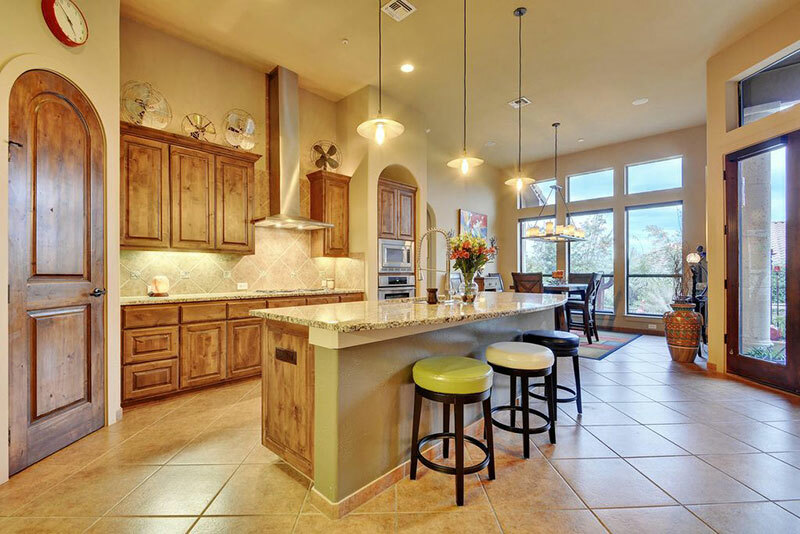 Depending on the desired slab thickness, your countertop could cost $20-40 per square foot. 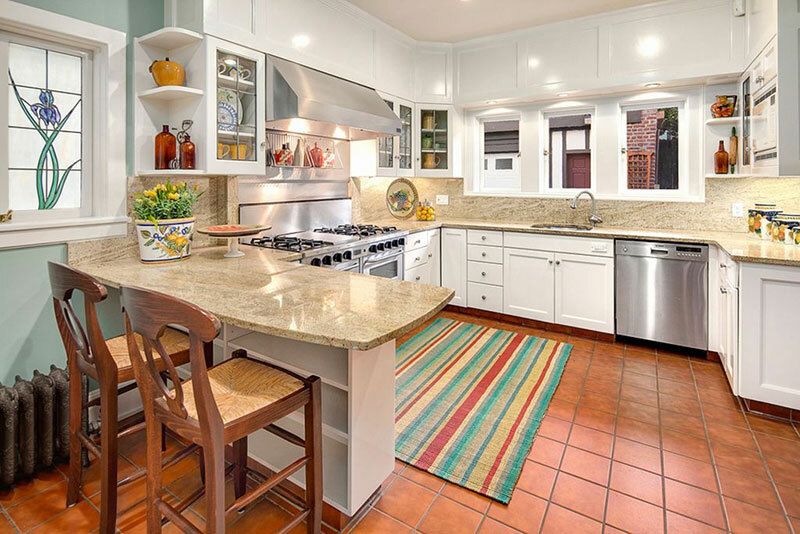 A 2cm thick slab sits in the lower range, while a 3cm slab might cost $30-40 per square foot. From there, the cost is based on the size of your kitchen. 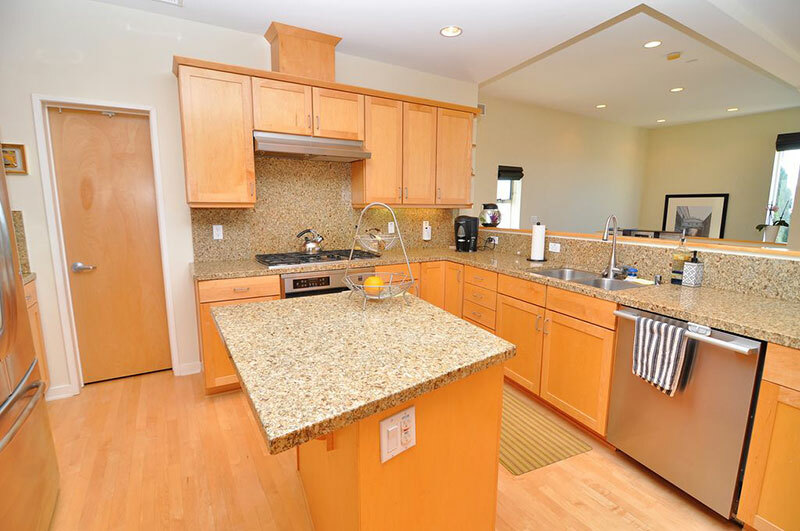 In short, we love New Venetian Gold granite countertops due to the versatility of color and style. 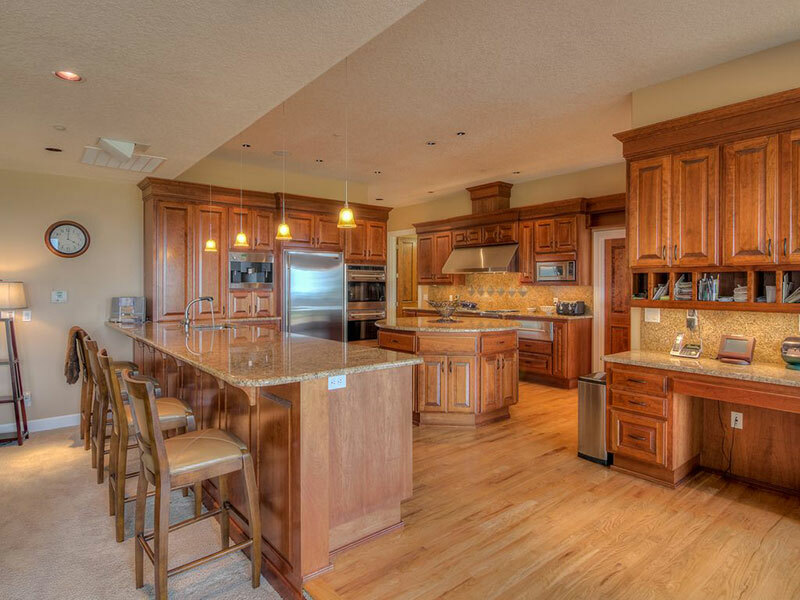 This granite simply adds a touch of warm elegance to any kitchen.